The TVS-3 monitoring station was developed to measure the different parameters of the environment and to evaluate, summarize and store all the received and calculated data. The TVS-3 functions as a high quality device for continuous monitoring of the radiation level and the concentration of industrial and other dangerous gases around industrial or nuclear facilities, or at any other permanent monitoring point, helping the prompt evaluation of a current situation and the determination of the spreading of environmental pollutants with the knowledge of meteorological parameters. 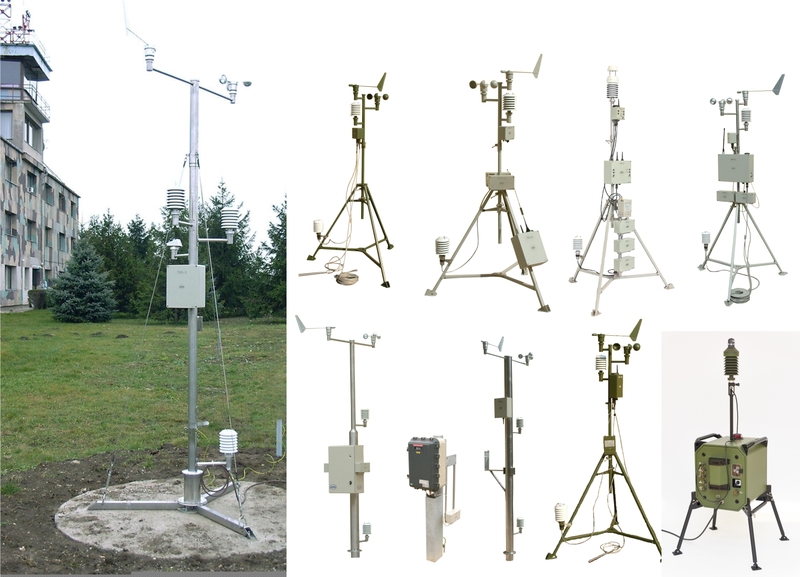 Features: Gamma dose rate, toxic gases, meteorological parameters measurement; alarm with early warning functions, stainless steel mast, computerised data display. TVS-MLR version with networking possibilities. TVS-3M, TVS-3ML: mobile versions with carrying cases. Additional features: Networking possibilities, data logger, GPS, GSM/GPRS.TVS-3MLU: mobile version for ﬁrst responder vehicles.